Welcome to our January Stamper's Dozen Blog Hop! We hope you'll be inspired by all that Saleabration has to offer! I have a very simple project to share today! My card features a Saleabration product that you can get for free with a qualifying order of just $50. Truly, this card couldn't be simpler! It uses the beautiful Heartfelt Blooms stamp set. 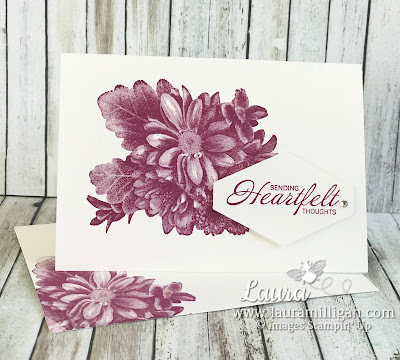 The flower stamp is a new style of stamp - Distinktive - with just one stamp and one color of ink, I can create a beautiful detailed floral image with shading and texture. Love it! 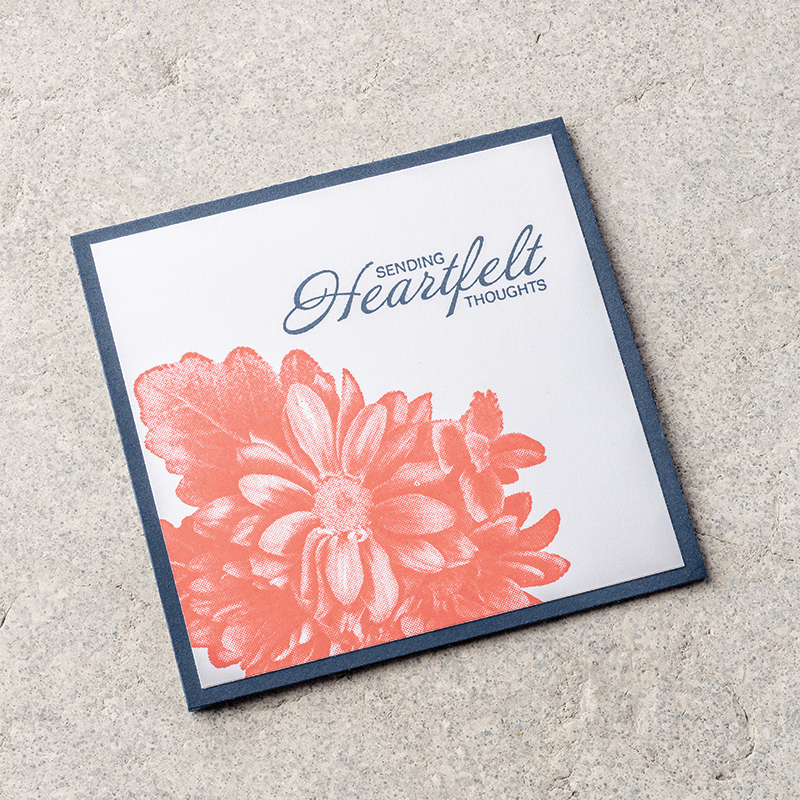 The stamp set comes with the large floral image and also several great word stamps. 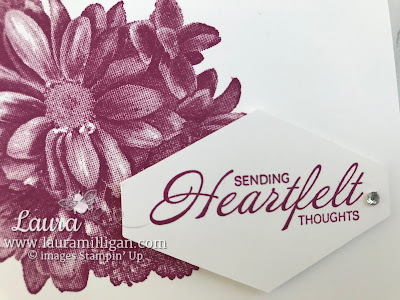 For my card, I used Berry Burst ink with the stamp - and stamped it on a Whisper White Notecard. I stamped the greeting onto a scrap of Whisper White cardstock and punched it out with a new punch -the Tailored Tag Punch. 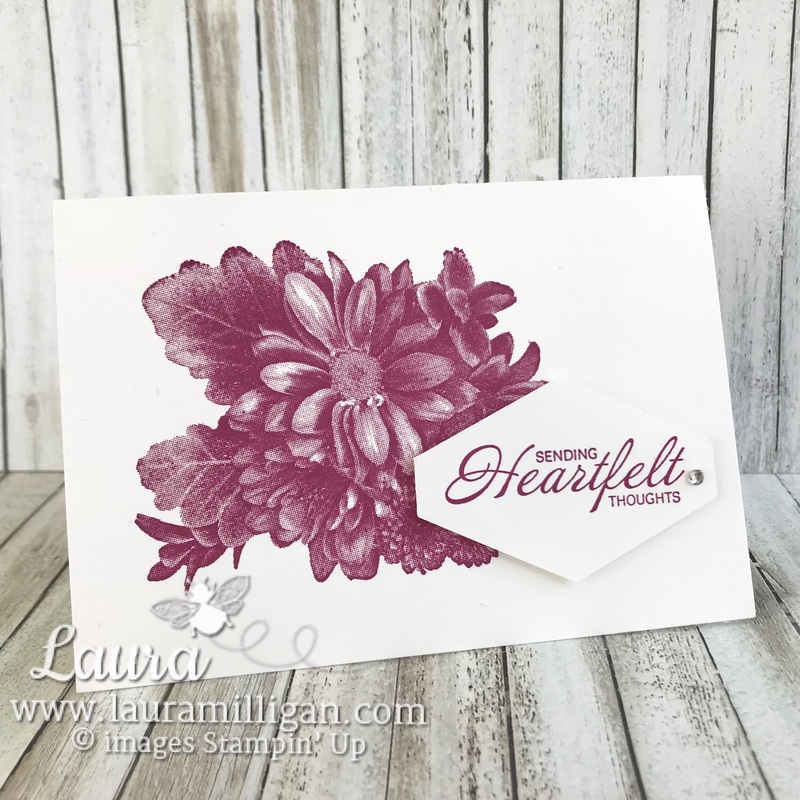 To finish the card, I used dimensionals to pop up the punched image, added a rhinestone, and stamped part of the floral image on the envelope. Couldn't be simpler - and I think this stamp set is a great "go to" for a super quick and beautiful card-which we all need at one time or another! I've included all the products used in my card below, should you care to purchase some Stampin' Up! products and get this beautiful stamp set for FREE! Thanks for hopping with us today! If you'd like to place an order to qualify for a FREE Saleabration reward, please click on any link below to shop in my online store! I appreciate your orders!